While India displayed significant improvement in 2017, rising international crude oil prices and global trade war would throw up challenges going forward. 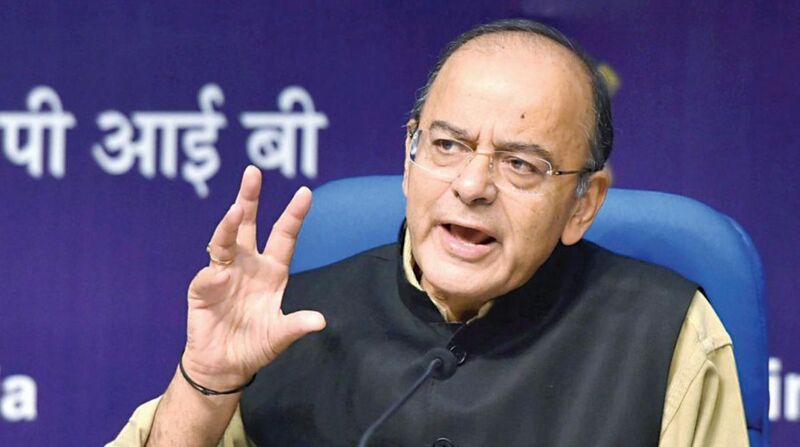 Union Minister Arun Jaitley on Friday expressed confidence that India would pip Great Britain to become the fifth largest economy in the world in 2019, if economic expansion continued at the projected rate. Sharing his views on his website in an article titled ‘The Congress Gave Slogans to Rural India – Prime Minister Modi Gave Resources’, the minister also mentioned the recently released World Bank data according to which India is now the sixth largest economy. “The recently released World Bank data reveals that India has now become the sixth largest economy relegating France to the seventh position. Obviously, on account of disparity in the size of the population, there would be a very significant difference in the per capita of the two countries. If we keep growing at the rate which is being projected, it is likely that next year we will be the fifth largest economy ahead of Great Britain,” Jaitley wrote. “This is in consonance with the rest of the narrative. Being the fastest growing economy for the last four years, we can look at the next decade as one of economic expansion,” he added. The United States tops the list of world’s largest economies followed by China, Japan, Germany and Britain. The new calculations were determined on the basis of Indian economy’s performance in 2017. While India displayed significant improvement in 2017, rising international crude oil prices and the global trade war would throw up challenges going forward. “We have already seen a significant move up in India’s ranking in the ease of doing business and as a preferred investment destination. Today we stand to be tested in the midst of a global challenge thrown up on account of the international crude oil prices and the trade war,” Jaitley said. 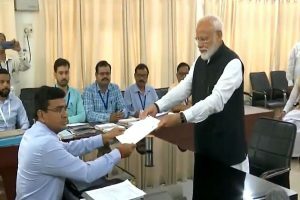 The minister added that the NDA government, under Prime Minister Narendra Modi, has ensured that rural India and the less privileged get the first right on resources and if this, along with increased expenditure, continues for the next decade the impact on India’s rural poor would be significant. “This benefits all irrespective of religion, caste or community. The Congress provided India’s poor with slogan. Prime Minister Modi has given them resources. This will ensure faster growth and lead to a faster depletion in the poverty,” Jaitley added. “The 1971 Garibi Hatao’ model was one of redistribution of poverty rather than the generation of wealth and resources. The result of this misguided approach was that the lives of the poor did not move up significantly. “On the contrary, the present Prime Minister is a man of many words and many more actions. He announces stiff targets and programmes which at first sight appear to be difficult, if not impossible. He follows it up with the actual implementation and delivers the promise,” Jaitley said. He said the government’s programmes for rural India would lead to increased incomes, increased social security, improved quality of life, higher income from agriculture and better healthcare.